Richard Grassl lives in Washington State. He first went to Cuba in 1997 to attend a U.S./Cuba Labor Conference in Havana and has returned periodically, most recently in August 2018. Richard’s wife is Cuban. His visits there with her family have allowed him to see Cuba in ways quite different from those of most North American visitors. Tom Whitney of the Let Cuba Live Committee of Maine and a regular People’s World correspondent, takes advantage of Richard’s unusual vantage point and his analysis to ask him a few questions. Tom Whitney: Many people in our own country seem more concerned about things right at hand and not so much about the world. Is it that way in Cuba? Richard Grassl: Cubans are definitely concerned about what happens in the world. The political atmosphere has an impact on economic relations with their trading partners and may ultimately affect balance of payments with their creditors. What are people hoping for in their own lives and for their country? People hope that peace prevails and that their country’s influence in the world will continue to grow. They want adequate food, shelter, and clothing to alleviate shortages and uncertainty that exist when imports don’t suffice to meet hardships imposed by the U.S. blockade. What are their main complaints about daily life? They worry about the price and availability of meat, dairy products, tomatoes, onions, and other vegetables necessary for a balanced, nutritious diet. The ration card does not compensate for family needs each month. Disposable income is insufficient to cover the cost of construction materials for housing repairs and replacement of household appliances without remittances from relatives living in other countries. Yet Cubans share from what little material abundance they have with others in need. Are they tuned into politics? Where do they get their information? Cubans pay very close attention to politics. They get their information through television, radio, print news, social media, and from the world around them. Expectations of the United States were high when diplomatic relations resumed in December 2014, but now they are reduced. But Cubans have maintained their sense of identity and they focus on what got them to where they are. Trump’s shortsighted attempt to thwart improved political and commercial relations have by no means led to homelessness and begging in the streets of Havana. Intensification of the blockade in order to bully trading partners has not shaken the confidence and resolve of the Cuban people. In fact, the recent UN General Assembly vote (189-2-0) to support the Cuban resolution against the blockade shows how much the U.S. is isolated in the world. The “Mesa Redonda” (Round Table) television program provides detailed political analysis by professors, respected journalists, and government officials on international news, domestic politics, and local events. At a press conference in Havana, for example, Foreign Minister Bruno Rodriguez Parrilla stated that, “In Cuba there is no room for interference from a foreign power, now or any time in the future.” People talk about the need for improvements to garbage collection, public transportation. They complain about long lines at government offices and cost of living, etc. These subjects all have a political connotation that cannot be separated from what I just said. Do political developments overseas matter to Cubans you spoke with? What about identification with Latin American countries? After the triumph of the Revolution and the subsequent U.S. attempt to isolate Cuba from the world, the Cuban government made foreign policy an important priority. Cuban people have great respect for Hugo Chavez, Evo Morales, Daniel Ortega, Nicholas Maduro, and other leaders who have espoused revolutionary change to make their countries more independent and sovereign. Economic, cultural, and political ties were essential to overcome centuries of exploitation and plunder by imperialist nations. 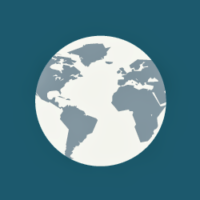 [Venezuelan-based television network] TeleSur is a prime source of information and news about Latin America, and Cubans strongly identify with TeleSur. In my opinion, other formations like the Bolivarian Alliance for the Peoples of Latin America (ALBA), the Union of South American Nations (UNASUR), the Common Market of the South (Mercosur), and the Community of Latin American and Caribbean States (CELAC) illustrate the necessity of cooperation and collectivity for the common good. During the “Special Period” following the fall of the Soviet Union and other Cuban trading partners in the 1990s, infrastructure and transportation facilities suffered and supplies of essential goods were short. What about shortages and their continuing impact on people’s lives and attitudes? 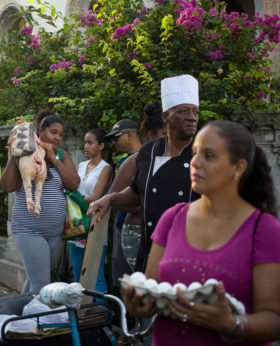 No one in Cuba starves or is left unattended and suffering. The Cuban government spends 51 percent of its revenue on education and healthcare and 25 percent on programs like social security, senior citizen housing, and child daycare. 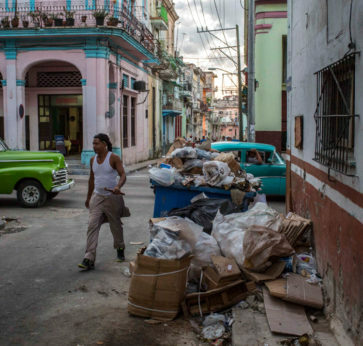 Problems like street potholes, water pipe leaks, inadequate transportation, shortages of construction material, and delayed garbage collection do not dampen the enthusiasm of either Cubans or visitors. Though they may be short of means, there is no lack of political will and determination on the part of authorities and residents to talk about and resolve these concerns. What would you say about consumerist longings among Cubans? Leadership in Cuba has changed with younger people now being involved and more women and Afro-Cubans. How do Cubans regard the older generation of revolutionary leaders? The older generation is passing the torch to younger, more energetic cadre. Due to the presence over many years of many revolutionary leaders, most people have a deep familiarity with their achievements. Fidel was a legend in his own time. Their humility and modesty overshadow any distance which may have existed as the nation faces new challenges. The memory of the Cuban people is nourished whenever commemorations are held of historic dates. Those leading the events are seen to be following the example of their predecessors. For example, the new Cuban president, Miguel Diaz-Canel, has taken the reins of government with sincerity and purpose. And his reaching out to friends and allies has strengthened Cuba’s influence in the world. It’s not the same without Fidel. Yet he is still present. Cubans are interested in results and what the government can do to improve their lives and overcome difficulties with their northern neighbor. The U.S. and Cuban peoples have been bound together for generations, for good and for bad. What do they think about the United States? Many times I have heard Cubans say the words “Estados Unidos” in the street spoken without any tone of animosity or anger. The respect shown by Cubans for the working class and U.S. tourists overshadows differences that we may have. The closeness of our two nations provides a unique opportunity to engage in discussion with a view to improving relations. As I traveled around in a cab, I observed that people, places, and things like landmarks and buildings may have changed, but Cubans maintain a consistent face. They don’t hold a grudge against the “Americanos” on account of politics, language, or cultural differences. The respect shown by Cubans for the working class and for U.S. tourists made me feel welcome, even with complete strangers. The closeness of our two nations provides a great opportunity to engage in discussion with a view to improving relations. Why do Cubans want to migrate? Economic necessity seems to be the overwhelming reason that Cubans pick up stakes and try their hand at opportunity in another country. With migratory regulations now more lenient, they are welcomed back to their homeland and share their experience with family and friends. What about racial bias among Cubans? Racial bias has no place in Cuba. It is not characteristic of the Cuban people to betray the ideal of the new men and women who have helped construct a society based upon dignity, solidarity, unity, and the good of all. What do Cubans you know think about the proposed constitutional changes? In conversing about Cuba’s reform process, a Cuban friend stated that “Cuba is a Titanic, adrift in the sea.” Though many problems persist from the Special Period of the 1990s, Cubans survived the economic blow through sheer willpower and intelligence, guided by their revolutionary leadership. There is no lack of disdain for Trump’s threat to use Monroe Doctrine tactics to expropriate the destiny of the Americas and destroy Cuban sovereignty through an imperialist venture based on hatred, greed, and revenge. In the face of economic difficulty, Cuban citizens have flocked to workplaces, schools, and public institutions to discuss changes to the constitution. In this milieu, I came away with a sense of satisfaction that the first law contained in the preamble of the Constitution of the Republic of Cuba is at work. It’s from Jose Marti. It says that the full dignity of all people and the legal, cultural, and ethical wellspring of Cuban resistance to foreign interference are one and the same thing. What do Cubans think about their new president, Miguel Diaz-Canel? When I asked a couple of family members about this, they asked me what I thought about Donald Trump. The conversation went nowhere. My thought is that it’s too early to make any kind of judgment. We have no moral authority when it comes to determine what Cubans think of their government or leadership. 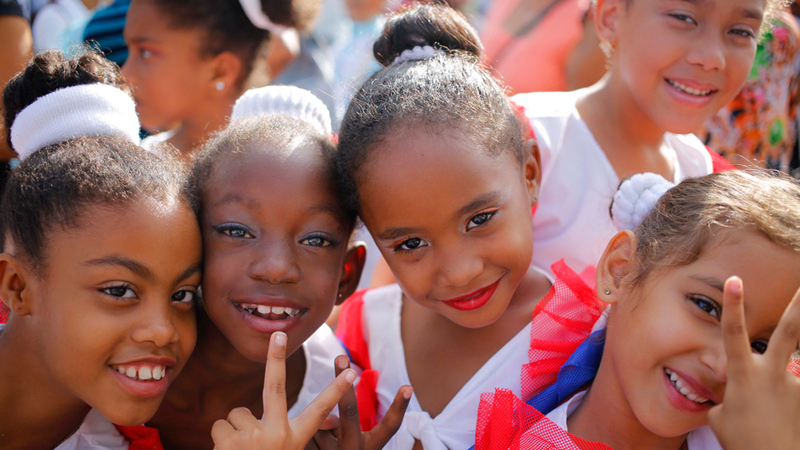 Cubans have the ability to resolve problems like availability of food, adequate housing, decent healthcare, good education, access to culture, and the normalization of relations. We can learn from them only if we develop the ability to listen, which is the best way to earn their respect. To what extent do Cubans’ ideas about prosperity in the United States and elsewhere feed into discontent with their lot? The best answer to that question is to buy a ticket and visit Cuba. You’ll learn directly from the horse’s mouth.